Full Tilt Poker offer some of the best value online poker tournaments with guaranteed prize pools where players can register for low buy-ins and win their share of the prizes up for grabs. 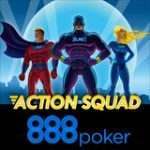 Every month players can enter the Big Little Tournament which has a $100k prize pool for only $2 this is probably one of the best value poker tournaments online. New players also stand a chance to win big in the FullTilt Poker $100K First Deposit Freeroll where they get a free tournament entry into one of the biggest online poker freeroll tournaments when depositing at least $10 at FullTiltPoker. 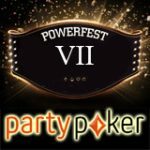 FullTilt Poker will also match the deposited amount up to $600 so new players can double their poker bankroll when making a first deposit. Each month Full Tilt Poker host the Big Little Tournament which features a massive $100 prize pool, get the best value for your $2 in this online poker tournament. 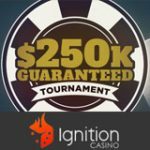 The winner of the event is guaranteed at least $9,000 for a first place finish, players can also enter daily satellite tournaments where they can win their seat into the event for as low as $0.30 + $0.05 or 5 FTP. Because of the large amount of players entering the tournament the tournament starting time will be delayed by 30 minutes and will officially start at 13:00 ET. Click on the Tournament tab and search for The Big Little Tournament and register. 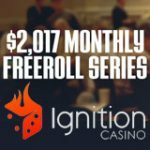 New players who make their first deposit of at least $10 qualify for free entry into the monthly FullTiltPoker $100K First Deposit Freeroll tournament. 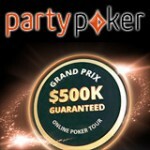 This is another great value online poker tournament to welcome players to one of the biggest online poker rooms. 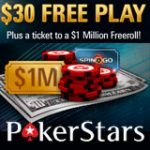 The FullTilt Poker $100K First Deposit Freeroll tournament can be found in the lobby by clicking on tournaments then freerolls. Depositing players also qualify for a Full Tilt Poker bonus where you can double your deposited amount up to $600 the Full Tilt Poker minimum deposit is only $10. To make your first deposit click on the cashier button in the lobby and select one of the many deposit options to get started. 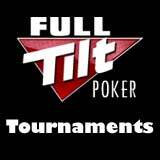 Use the Full Tilt Poker bonus code to qualify for your first deposit bonus.